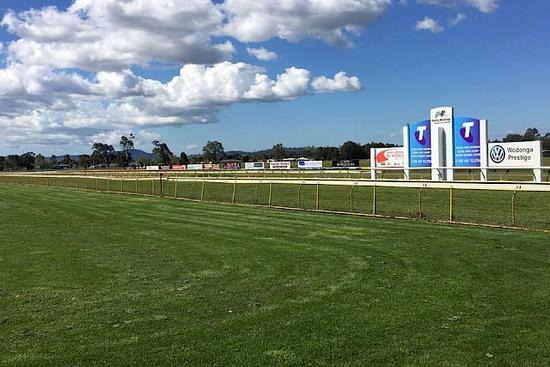 The Wodonga & district turf club on Saturday, May 19 will see seven events run under fine conditions racing on a soft five with the Widdison stable to supply a number of runners to the meeting. The first of the stable runners will see a career first starter in Collis kickoff in a maiden plate over 1200m with John Keating aboard jumping from barrier six. Facing the starter for the first time. Three-year-old filly by Skilled out of Twinciti. Didn't show much at a Tatura trial over 850m. Race three will see Banger second up from a spell to be joined by Jake Duffy jumping from an awkward barrier 10 of 10 in the Jack Maher classic over 1200m. Trialled in preparation for debut last start. At debut, wide throughout and hung out in straight; 9th of 10 starters at Benalla 2yo Mdn Apr 27 over 1106m, 9-1/2 len behind Marcel From Madrid with 58kg. Lord Laurie will compete in a BM70 Hcp over 1400m with Chelsea Macfarlane aboard jumping from barrier 1. Last start held ground to the line 2nd of 14 runners at Albury Hcp (C3) May 14 over 1400m, 3-3/4 len behind I Am Kalani with 59.5kg. Run before blundered at start; 6th of 15 runners at Wagga (Bm70) May 4 over 1200m, slow track; 3 len behind Fermanagh Lad with 57.5kg. Will appreciate the 2kg claim. On Quick Back up. Race six will see Mr Coyne enter in a 0 to 58 Hcp Over 2050m with Nick Souquet aboard jumping from barrier 11. Race seven will see 2 Widdison runners compete in a 0 to 58 handicap over 1590m with Makfi Lass to be ridden by Michael Poy jumping from barrier 1. Last run 4th of 14 runners at Wagga F&M (Bm70) May 4 over 1400m, on slow going 2-1/2 len behind Levee Bank carrying 56kg. The run before 6th of 13 starters at Muswellbrook (Bm63) Apr 1 over 1450m, 2-1/2 len behind Iona Nicconi with 58kg. Ruby Skye, will run second up from a spell to be partnered by Nick Souquet jumping from barrier five with a field of 14 to run. Racing second-up today. First-up after five months slowly away and checked near 200m; eased back early on 5th of 13 runners at Wagga F&M (Bm63) Apr 15 over 1300m, 2-1/4 len behind Dutchesse Moshe carrying 55.5kg. Previously second-up slowly away (2l); 4th of 7 starters at Corowa Mdn in Nov last year over 1600m, 1-3/4 len behind Honorary Miss carrying 55kg. Best of luck to all connected.